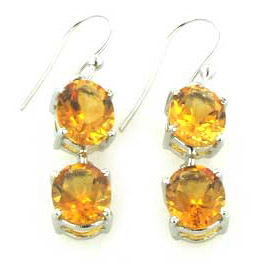 Citrine earrings in sterling silver. 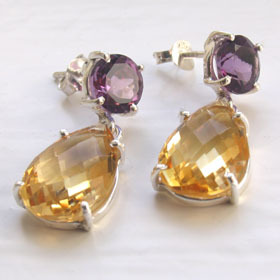 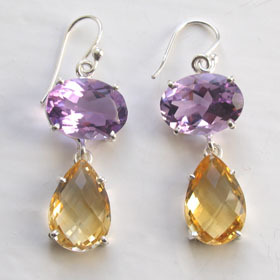 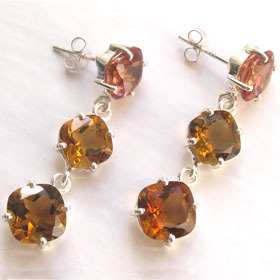 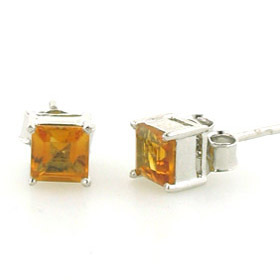 These wonderful citrine earrings feature checker cut brandy citrine briolettes - sometimes known as cognac citrines. 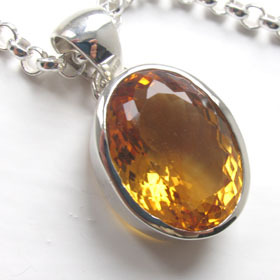 These descriptive names are perfect for the deep coloured, clear and brilliant gems. 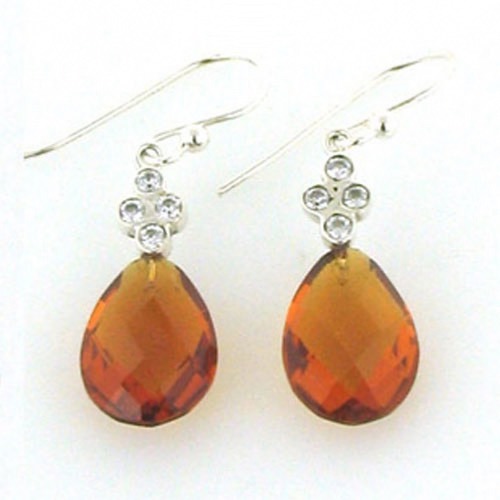 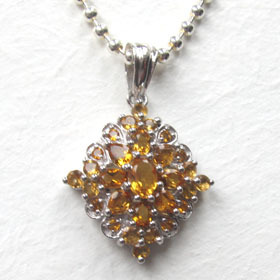 Briolettes are pear drop gemstones which are checker cut on both sides so no matter how the citrines dance they always sparkle and look fabulous. 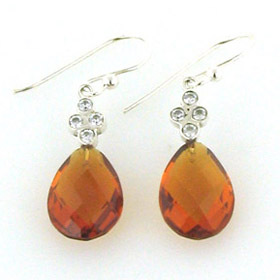 Above the citrines are 4 sparkling fake diamonds (cz). 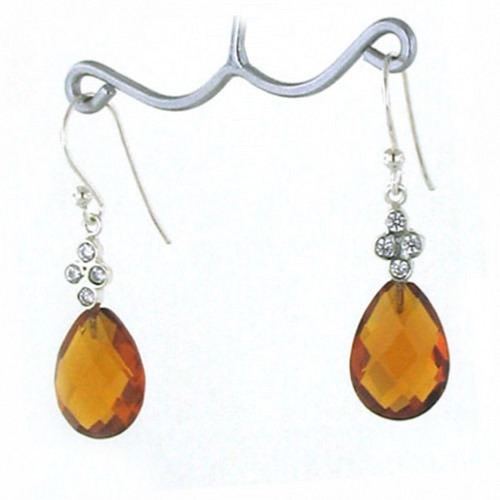 Wear these citrine earrings and you'll feel ready for anything!